Knowledgeable, caring and successful are words that best describe Barbara Lipkin, a Hidden Hills resident and top producing realtor with over 30 years experience. Barbara combines personal concern for her clients with professional expertise to achieve outstanding results in her field. Her reputation for integrity, reliability, and open, honest communication have rewarded her with repeat and referral clients who place their trust and confidence in her ability to successfully market and negotiate on their behalf. Barbara, a graduate of UCLA, holds a Broker's License and has earned the coveted GRI (Graduate Realtor Institute) and CRS (Certified Residential Specialist) designations from the National Association of Realtors. She achieved top producer status in 1999 and 2000. 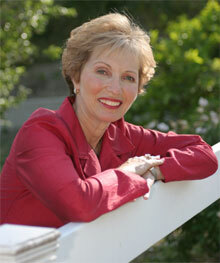 A former teacher, Barbara is also an instructor for the Southland Regional Association of Realtors. In the Lipkin family, real estate excellence runs in the genes. Barbara's daughter Michele, a Top Producer in the Hancock Park South Office, carries on the family real estate tradition in the Southland. Visit her at MicheleLipkin.com.